Here are some other products we saw at Book Expo America 2001, held in McCormick Place in Chicago, Illinois. 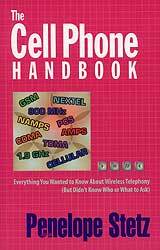 The Cell Phone Handbook from Aegis covers a range of topics from the history of cell phones and how they work to how do I transmit a fax over a cell phone? 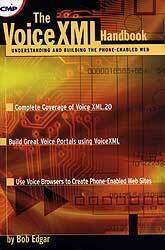 The Voice XML Handbook from CMP covers the background of telephony and XML and how to create and design a VoiceXML pages for your web site. Many people steal images, text and clips off the web. 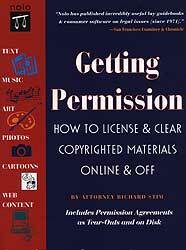 Getting Permission for Nolo Press book tells how to do it right by asking permission legally. 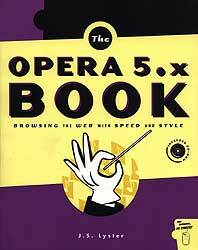 The Opera 5.x Book from No Starch Press is about the Opera browser. 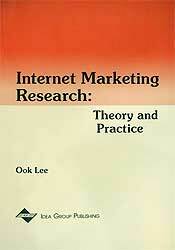 It does not include unnecessary chapters on the history of the Internet or competing browers. Prima's Fireworks 4 book is filled with screen shots to help you more easily design websites. It includes a trial version of Fireworks and Dreamweaver 4. Most unusual is that the entire text of the book is written in BLUE ink! Needless to say, I am a fan of that color. 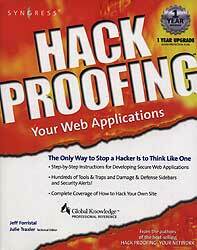 Hackproofing your Web Applications from Syngress is a no-nonsense book about developing applications that are more secure and less prone to hacking attacks. A nice feature in this book is the "Fast Track" section in the back which gives you a comprehensive overview of the important concepts, chapter by chapter. It's like having a book with built-in Cliff's Notes. 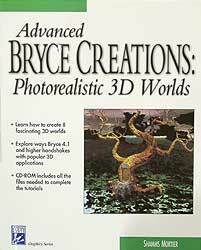 friendsoft's latest Dreamweaver book. 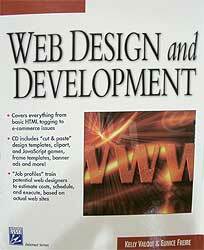 It is more technical and also covers the optional portion of Dreamweaver -- UltraDev. 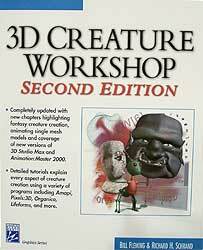 From Charles River Media -- 3D Creature Workshop - might be a good book to have when working with Amorphium or Amorphium Pro. Charles River Media will be shipping a dedicated Amporhium Pro book in a few months. 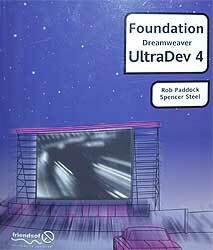 Sybex's brand new book (published April 2001) on Dreamweaver and Fireworks. 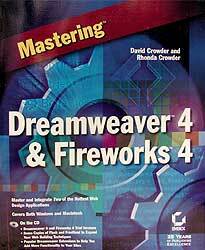 Nearly every technical publisher I stopped by had one new book about Dreamweaver and/or Fireworks. 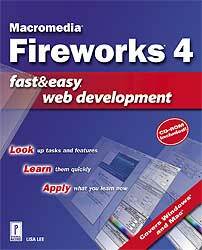 Read our review of Macromedia Fireworks. 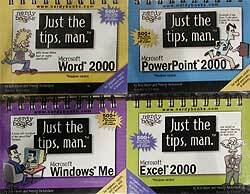 Nerdy Books is releasing a series of spiral bound "Just the tips, Man" for Word 2000, Windows ME, Excel 2000 and PowerPoint 2000. These aren't long-winded tutorials or long reference manuals -- they just show you the productivity tips of master users. 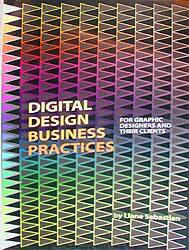 Digital Design Business Practices is targeted for managers, designers and freelancers. This book covers topics such as defining roles, estimates, proposals, fees, budgets, payments, copyrights and more. 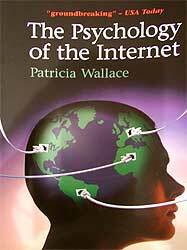 Unique book from Cambridge University Press about how people interact with the Internet. 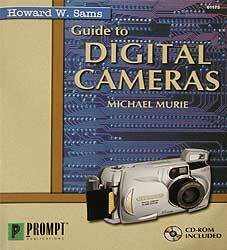 Digital Camera book that outlines what to look for in a digital camera. From Prompt Publishing, a division of Howard W. Sams.